The Europeans style their trucks a bit different to how the Americans and Aussies like to do things...less chrome, more black! Normally it's hard to go past a tough-looking bonneted truck, but occasionally a custom cabover grabs our attention. Continental unveiled its Volvo FH demo truck at the International Motor SHow (IAA) for Commercial Vehicles in Hanover last week and it's a good looking bit of kit. The truck is appropriately named 'Mjölner', after the hammer of the Norse god, Thor, and it's fair to say this looks like something Thor would cruise around in. Volvo autonomous truck put through paces. 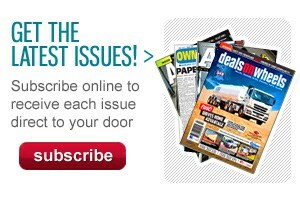 Watch here! 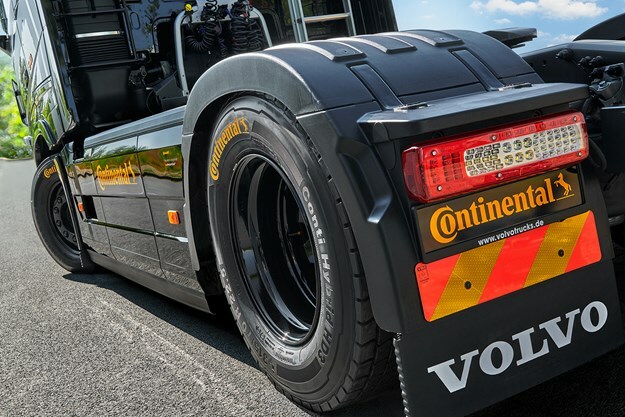 Continental's head of Truck Tyres Klaus Kreipe says the demo Volvo is about showing off the wide range of products Continental offers beyond just tyres. "Continental produces many more components for trucks than just tires or tire-pressure monitoring systems," Kreipe says. 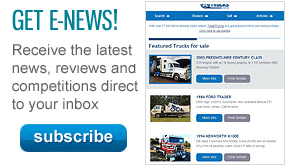 "With this demo vehicle, we want to demonstrate the wide range of components that we can supply for a modern truck.". 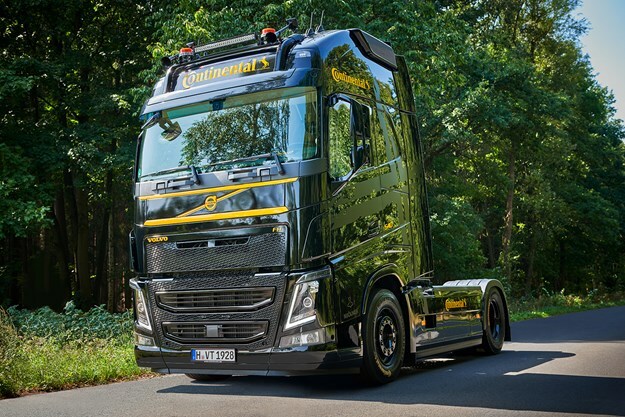 The demo truck is based on a Volvo FH 6x2 and is painted in the classic black and yellow Continental colors. Besides the tires, other components supplied by Continental, such as the air springs and hoses, also tie in with the colour scheme. Inside the cab the new ContiConnect driver app is installed on a TomTom PRO 8275 Driver Terminal. This app allows the driver to monitor the tire pressure and temperature and can be integrated into existing telematics systems or used on the driver's smartphone. All in all, this is an awesome looking truck and shows off some of Continental's truck range!